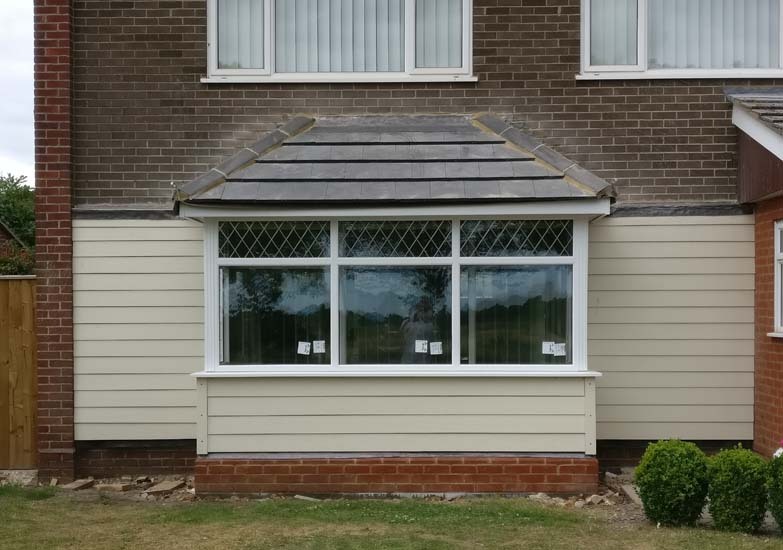 We have been busy as ever, but managed to fit in this lovely letter porch extension with external cladding to either side, this modernised the whole look of this 1960s detached house. 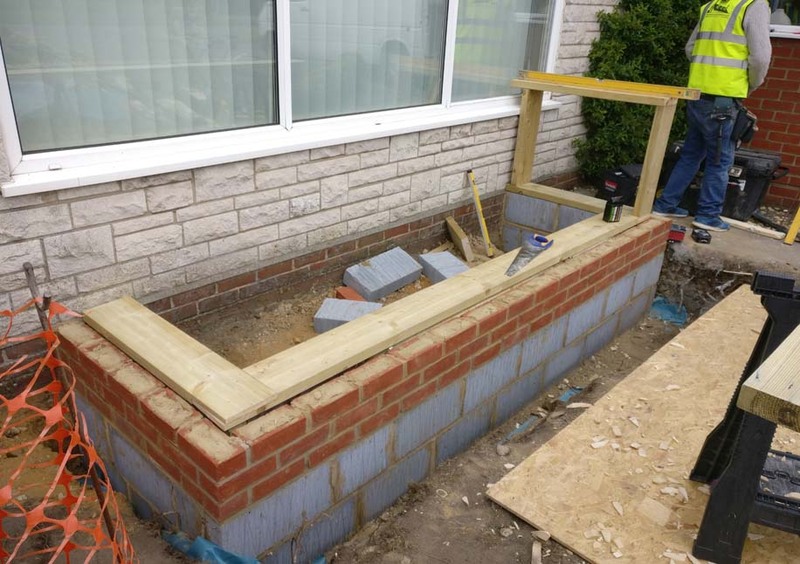 We were commissioned to build the porch bay extension, but ended up changing the construction method to timber frame from block and brick for a few reasons which included. We started by pouring the foundations but these had to be poured into a DMP because of nearby tree roots. NOTE: If you are thinking of building and extension please be aware that any leylandii trees may need to be removed if they are within ten meters of you new build. Then as we can see from the image below we build a cavity wall with 100mm thermalites up to damp course. 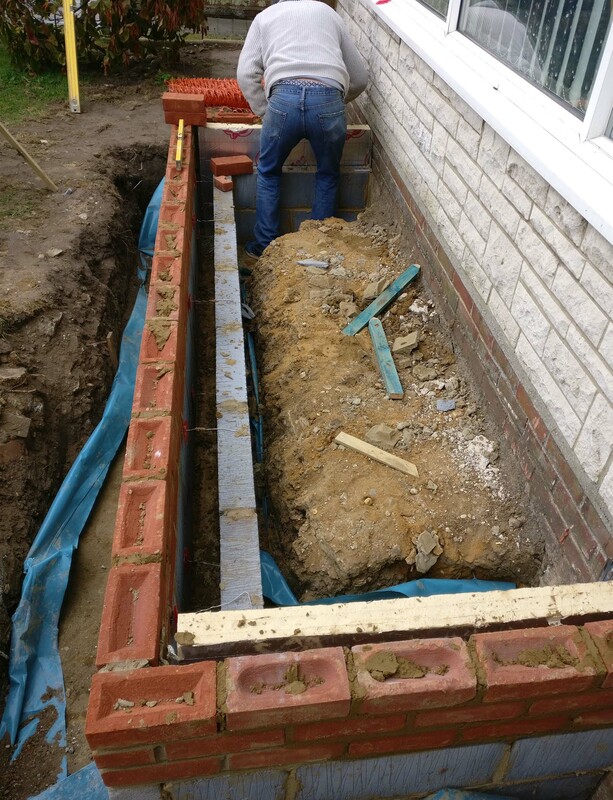 We then attached the damp course to the underside of the 180mm cls and fixed with sleeved fixings to create our sole plate. 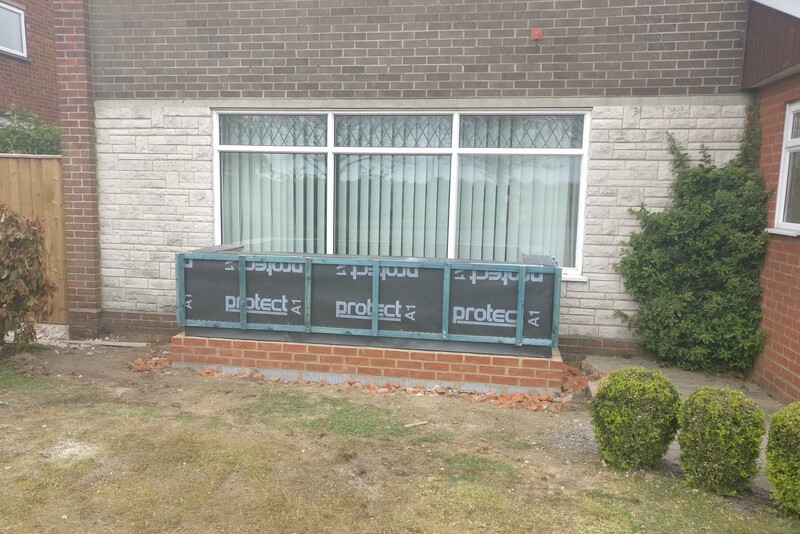 As we can see from the image above all the construction took place without the need to expose the inside of the building unnecessarily, we also used 180mm timber so we could reach the U values with 180mm celotex. We then constructed the timber frame with is clad with sterling board and breathable membrane this is for the windows to sit on as we can see by the image below. 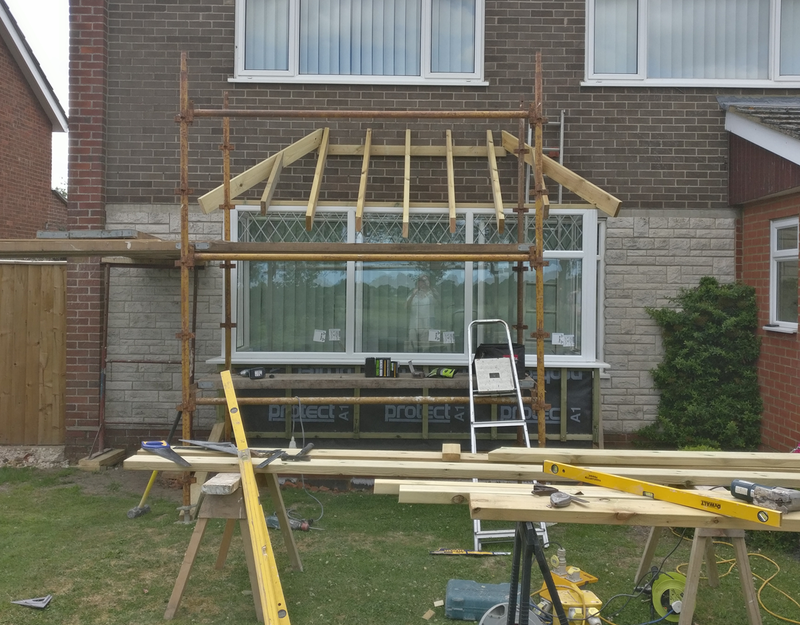 We then had to wait for the windows to be built and fitted, then we could continue with the build by erecting the roof which sits on a plate at the top and a 75 mm cls on the window frame. We then have the basic construction of the roof which was then membraned and tiled we also clad the timber frame and the sides of the extension with hardiplank could sail cloth for the modern look, we also added a cant brick plinth with lead flashing which was not on the drawing as this looks better. The existing windows inside were removed and the dwarf wall cut away to make the new bay inside the main front room. 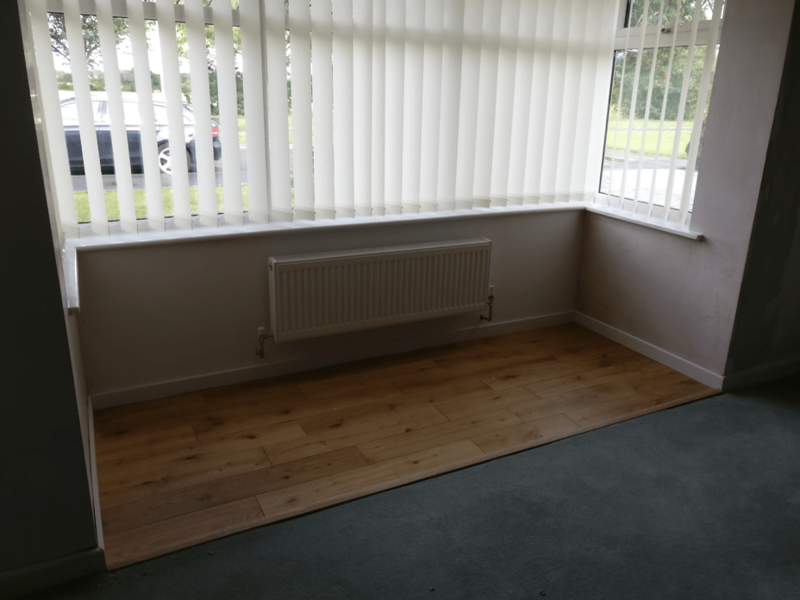 We can now see the finished article apart from some tidying up and below is the inside where we were asked to install a brushed oak hardwood floor. This project came in on time and with budget although, as always we were asked to do lots of extra work which was not on the drawing which we are always happy to do.